Last week marked 34 years since the riot at Ontario Place that was the highpoint of the career of Teenage Head, the Hamilton punk band that attracted thousands of fans to the Forum, the circular waterfront amphitheatre that could only seat 3,000. The riot is a watershed moment in the history of the band, as told by Geoff Pevere in his recently released - and wonderfully titled - Gods Of The Hammer, but it was one from which they'd never recover. The Forum is long gone, and Ontario Place has been closed since 2012, so I ask Pevere to meet me at another key location in the history of the band - the site of the New Yorker Theatre on Yonge Street where a 1976 Ramones concert galvanized Toronto's nascent punk scene, and where the members of Teenage Head, in a scene described ruefully by Pevere, left the theatre on a wave of youthful energy and ran around the back of the theatre to try and meet the band, only to find them arguing about what to play for an encore. The New Yorker closed not long after that Ramones gig, but it survives as the Panasonic Theatre, clad in a sheath of aluminum siding, and outside the backstage door where the two bands met a bunch of stagehands are taking a break from setting up a new musical. Pevere and I agree that this stretch of Yonge is probably still about as dismal as it was on that night, but that the city - and the music industry - that respectively made and destroyed Teenage Head have changed a lot. "It was a very different city, a very tough city," Pevere recalls. " (Head guitarist) Gord Lewis said that the couple of years in Toronto were the most amazing he ever had, and I get that, because for a lot of the people who were in that scene, to play in it and write about it and hang out in it, for the first time you could feel at home. Going to the Colonial, going to the Crash and Burn, for the first time you could feel OK about who you were." 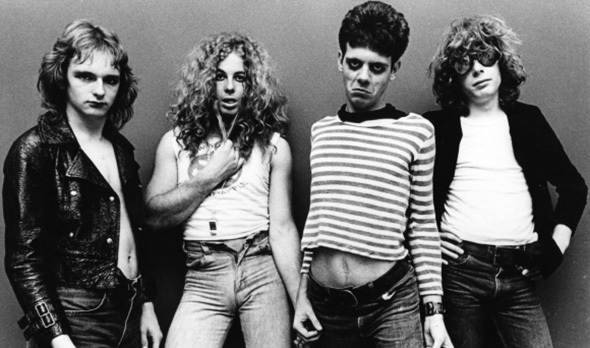 Teenage Head had already been together for a year when they eavesdropped on the arguing Ramones behind the New Yorker, and they when they drove down the QEW to Toronto to gig on the local punk scene, they were tighter and more fully formed than any other band here. With Lewis' songs and a charismatic front man in the late Frankie Venom, they were the band to beat live, and very few people ever did. "You know you've got something," Pevere says, "when you arrive in Toronto, one of the most difficult, intolerant, urban cultural contexts of all and you have blown them away, you have knocked them out. You have not only done that, but you single-handedly suggested with your skill that you guys have to kick up your game. And so you know you're good, and when somebody comes up to you and says they're going to take you up to the next level, that you have already been playing five years to get to, you're going to make it. And then, of course, what happens next is the inevitable..."
The inevitable was a deal signed with manager Jack Morrow, the band's Colonel Tom Parker, and the reason why they made it as far as they did - and no further. After two great records and almost constant gigging, they reached their apogee with the Ontario Place riot, and their nadir when, a couple of months later, Lewis was severely injured in a car crash just before a showcase gig in New York City. They never regained their momentum, but you could always rely on seeing them either on endless tours that took them through pubs, taverns and high school gyms all over the country, or in Toronto dives like the Rondun Tavern or as the virtual house band at the Headspace, the basement bar in the fantastically seedy Larry's Hideaway on Carlton Street. It was during this period that Pevere, a die-hard fan from the beginning, admits he sort of checked out. "For some reason I turned away, and I think I turned away shortly after Ontario Place the accident, around 1980. Because it looked at that point like they weren't going to make it, yet they were still playing all over the place and I think for somebody like me who had been an early adapter, I stopped paying attention ." Gods Of The Hammer, Pevere admits, was his attempt to understand what happened to the band, and to dive deep into punk, a cultural moment that meant a lot to him - one that he's sure now was a swansong of sorts for the music he and Teenage Head loved. "What I understand now, which I didn't then, was that we grew up in the center of rock's cultural dominion, and when you've got that temple cathedral above you it doesn't feel like it's ever going to crumble and fall down," he tells me. "Of course that's completely naive - looking back, we know it was always going to be compromised by commercial interest, and it was always going to be a highly attractive, warm pool of water for sharks, but something transcended that. But when it came to the vigorous debate about who was a real punk, what rock authenticity was and all that, with punk we're realizing that it might have been the absolute last spasm of rock as something vital. " "And again I'm not saying that romantically, the fierceness with which it's being debated and the fact that it had a sort of transcendent cultural fascination is because of the implicit understanding that it was kind of gone after that."